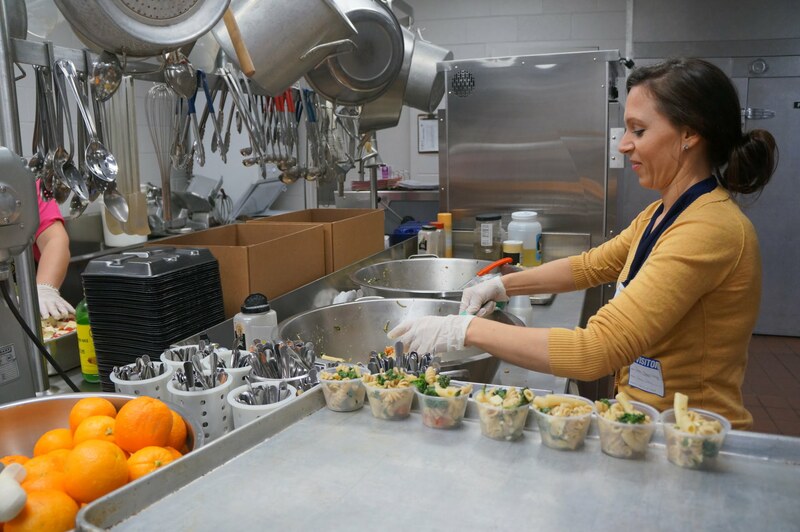 What is a Dietetic Intern (DI), and what do they have to do with Farm to School? Well, after working with DIs from Western Carolina University and Lenoir-Rhyne University for the last few years, we can tell you! Folks working to become Registered Dietitians must complete a (highly competitive) Dietetic Internship. These internships have national competencies that can be addressed through local food and Farm to School activities and assignments! So, what does this mean? It means that DI programs throughout the country can encourage their interns to conduct local food taste tests and go on farm field trips or visits to a local farmers market. It means they can encourage interns to create recipes that feature locally grown items. We’ve been working with these future health professionals AND future teachers through our Local Food and Farm to School Education Project, and it’s pretty exciting work. Can you imagine the day when classroom teachers regularly integrate school gardens, cooking, and farm field trips in their instruction and then take their children to the cafeteria to see these same lessons reflected in the meals being served? One day you will, we promise you. In the meantime, here’s more info about our work with pre-service university students and a link to a PDF we created that aligns local food and Farm to School with the national Dietetic Internship Competencies. Are you a DI working to incorporate Farm to School activities into your rotations? Let us know what you think!